You really just have to shake your head at the reality that celebrities are accustomed to privilege that the rest of us couldn’t dream of and it almost seems like everyday there is some famous person getting just a slap on the wrist instead of what they deserve. The rest of us don’t fall into that category and it’s because we’re not famous. It’s that simple. We live in a celebrity-obsessed society whether we like it or not. And the reason why Empire star Jussie Smollett’s charges were just dropped might have something to do with former President Barack Obama. Jussie Smollett took the nation by storm when he explosively admitted that he was allegedly beaten and bruised by a couple of Make America Great Again supporters. “Allegedly” being the key word there. But it was a riff-raff of controversy when it was revealed that Smollett could’ve been making all that up in order to simultaneously damn President Trump supporters while attempting to gain sympathy from Hollywood so that he could get a pay increase on the show Empire. Only problem with his story is that those streets are loaded with cameras. And that’s when his claim started to fall apart. It turns out that the Chicago Police allegedly found out that he paid two Empire employees – one a stunt double and the other an extra – to beat him up so that he could make up the outrageous story. Consequently, he was charged with 16 felonies and let go on a $10,000 bail. Well, it unfolded this week that the prosecutors decided to drop all of his charges in exchange for community service and surrendering his bail. In yet another strange twist in the actor’s desperate plea for notoriety, one key figure in former President Barack Obama’s administration, former first lady Michelle Obama’s chief of staff, Tina Tchen, “put in a call” to the prosecutors’ office, Kim Foxx at Cook County, and “magically” the charges were dropped. What? That’s a cruel part of the justice system where a phone call can make the state drop 16 felony charges at the blink of an eye because the defendant is friends with the Obamas. Now, it’s important to note that Smollett still maintains his innocence and that the alleged attack actually happened. But there’s no way that the Chicago Police department is going to go through the whole process of charging someone – especially of this national newsworthy caliber – on a hunch. It just doesn’t happen. USA Today reports that Tchen claims she had a “small role” in “assisting” the prosecutor’s office. 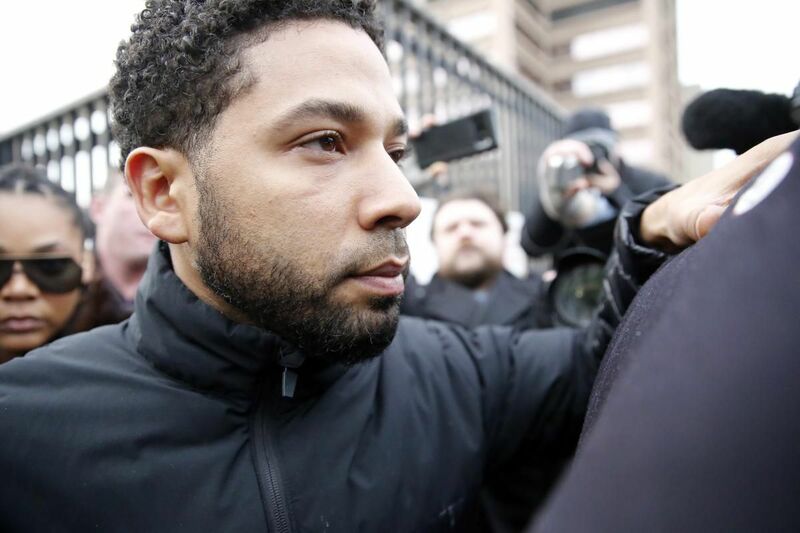 However, the Chicago Sun-Times reports that the former Michelle Obama chief of staff denies trying to sway the outcome of the Smollett case. That’s a load of garbage. Jussie Smollett deserved to be tried for his alleged crimes and not given a slap on the wrist. What he did was divide our nation and demonize Trump supporters. Next ArticleWho Is The Best Athlete In The World?